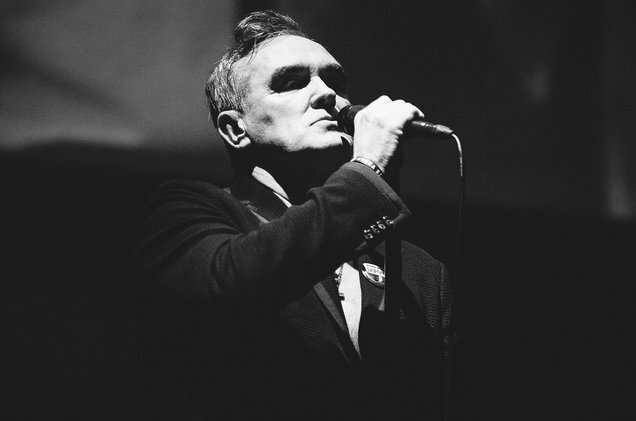 Morrissey has announced a 14-date U.S. tour launching this fall. The former Smiths frontman will kick off his American trek on Sept. 5 at Merriweather Post Pavilion in Columbia, Md. and play throughout New York, New Jersey, Ohio, Michigan, Illinois, Texas, Utah, and Oregon. Morrissey will be joined on tour by special guest Interpol. The news of tour dates follows the release of California Son single “Wedding Bell Blues.” The rendition of The 5th Dimension’s hit features Green Day’s Billie Joe Armstrong and Lydia Night of the Regrettes on backing vocals. Listen to the single below. Morrissey is also set to play a seven-date Broadway run at New York City’s Lunt-Fontanne Theater from May 2-11. The shows, which sold out within an hour of being on sale, will span Morrissey’s catalogue from the Smiths to California Son. Tickets for the U.S. tour go on sale Friday (April 12) at 10am local time via Morrissey’s site. Tickets for Frank Erwin Center in Austin will go on sale Friday at 2pm local time.